As Liz Sherman fights for her life in Utah, the BPRD plans an assault into the no man?s land that used to be New York City, and the young psychic Fenix faces a monster-worshiping cult at the Salton Sea. Collects B.P.R.D. 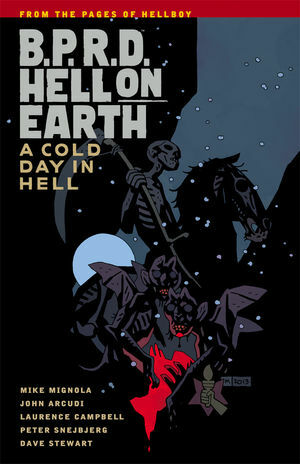 Hell on Earth #110?#115. * Art by Eisner winner Tyler Crook (The Sixth Gun).